Whether you’re looking for an HVAC contractor for air conditioning installation or a skilled technician who will fix your broken AC, hire someone with a NATE® certification. 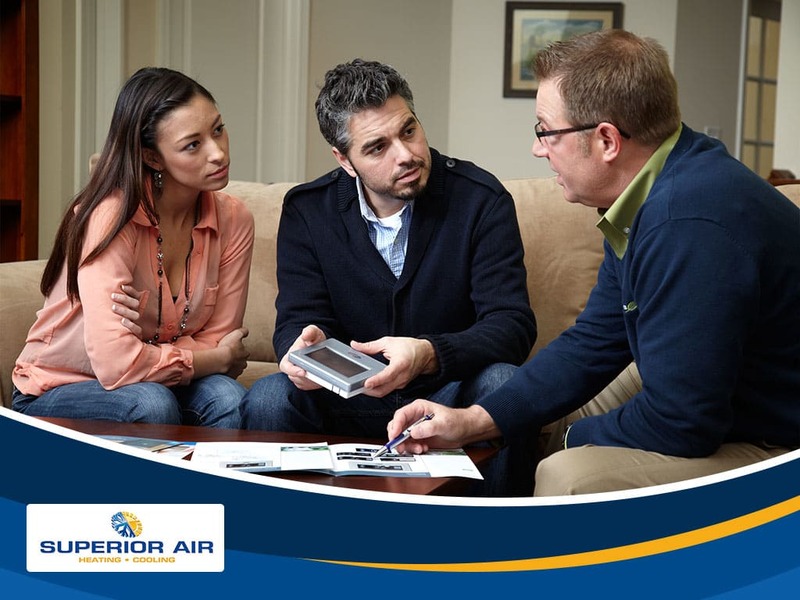 Our NATE-certified technicians at Superior Air can give you a closer look at how important this certification is. The North American Technician Excellence (NATE) is the nation’s largest non-profit organization that focuses on HVACR (heating, ventilation, air conditioning, and refrigeration) technicians. NATE is developed both as a way to standardize working knowledge among HVACR technicians and to provide a way to recognize their skills. For clients and homeowners, this is their assurance that the technician knows what they are doing. NATE certification tests cover every aspect of working with HVACR systems and covers all stages of the industry. The tests are not just focused on air conditioning repair. In fact, a technician can choose to be certified in one or more specialty areas, some of which include commercial refrigeration, efficiency analysis, and non-electrical heating sources such as gas and oil. The latter is especially important for homeowners who use furnaces to heat their home since new technicians tend to be more familiar with electrical-based systems. Being an HVAC technician goes far beyond just installation, maintenance, and repairs. The same technician should be able to calculate a rooms heating and cooling capacity and ensure that homeowners will receive a properly sized HVAC unit. Proper airflow, placement of condensate pipes, and energy consumption are critical elements that are often missed by less knowledgeable individuals, but never neglected by NATE-certified technicians. As a homeowner, NATE-certified technicians can help you save on your energy bills, thanks to their skills and expertise. You also benefit from proper installations that will help prolong an HVAC system’s lifespan. These are just one of the many aspects that set a NATE-certified HVAC technician from the rest. Superior Air has NATE-certified technicians who can help you with your air conditioning maintenance, repair, and installation needs. Call us today at (559) 342-0023 or fill out our contact form to schedule a free, no-obligation quote. We serve many areas in and around Hanford, CA.